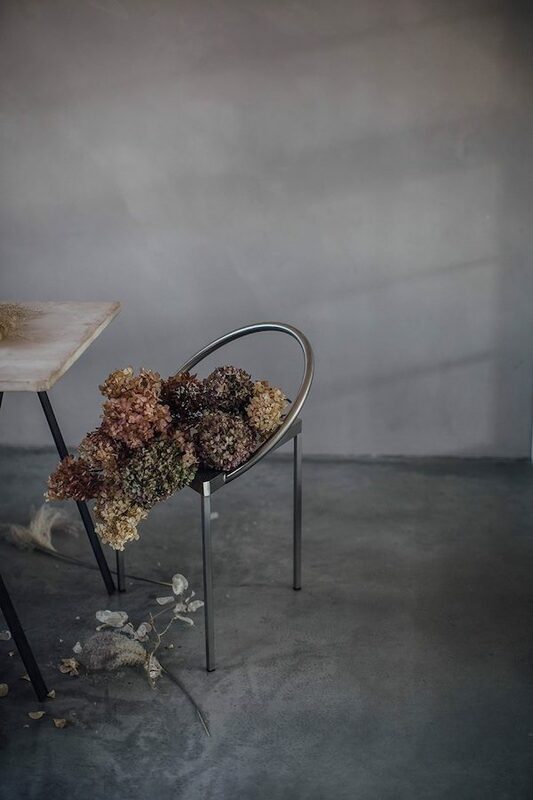 In my previous post I already showed you a sneak peek of new December collections to be presented at Maison & Objet. Today a new collection by Dutch interior designer Edward van Vliet for Jee-O that you might have seen the prototype off at this years Masterly in Milan where the designer curated an exhibition from five major Dutch manufacturers at Palazzo Francesco Turati, each of them presenting all new designs by Edward van Vliet, carefully composed as a complete hospitality experience. 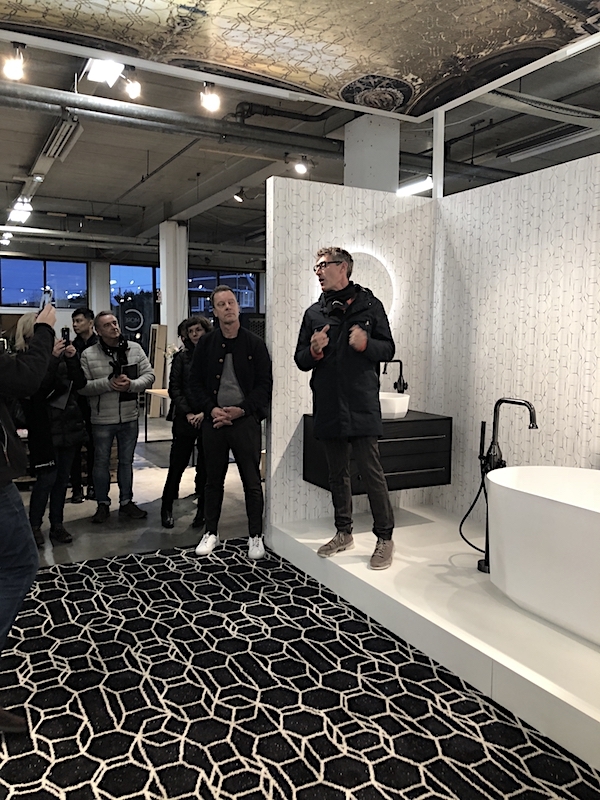 The launch of the new series took place at the beautiful and industrial concept store of my friend Iris and her business partner C-More in Nijmegen, followed by a press dinner and a party the day after at the store to celebrate the new collection and 15th birthday of Jee-O. 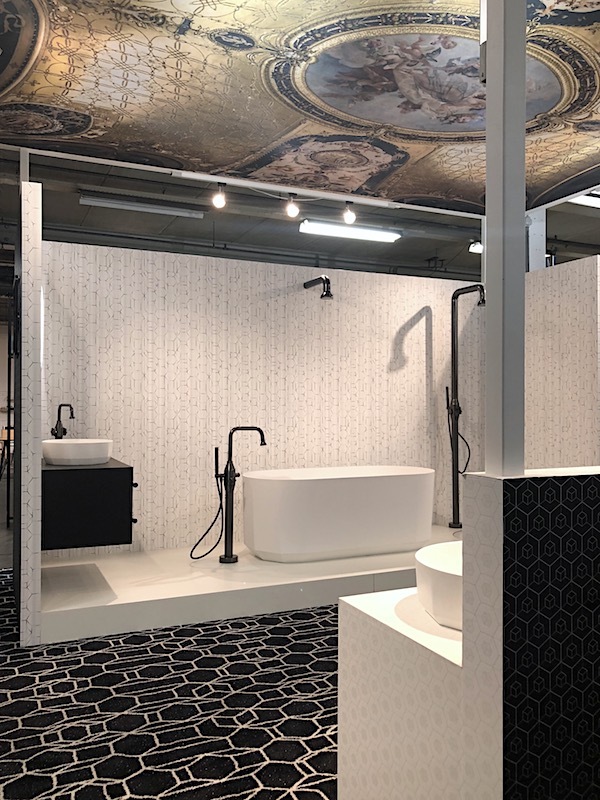 At C-More you can see the new series in a complete bathroom setup including a copy of the ceiling of Palazzo Francesco Turati. 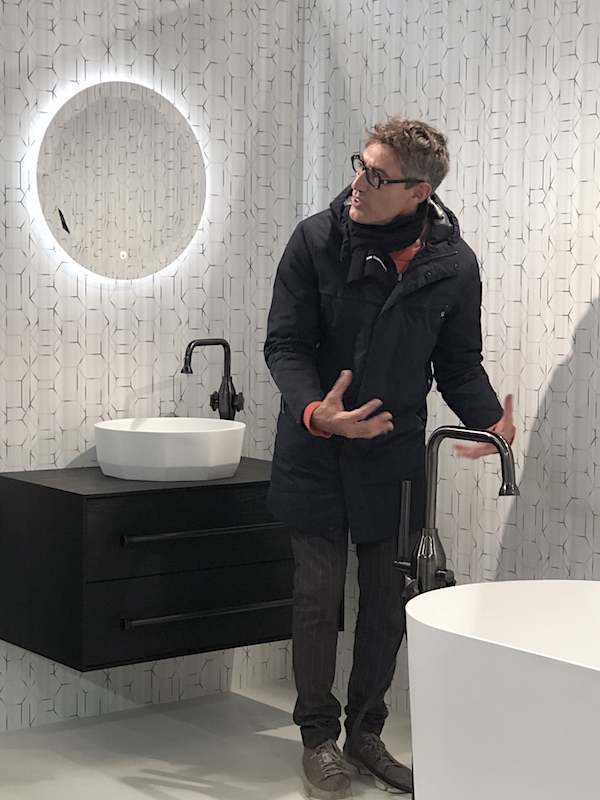 The store can help you with your bathroom design, next to offering a complete interior advise for your home. 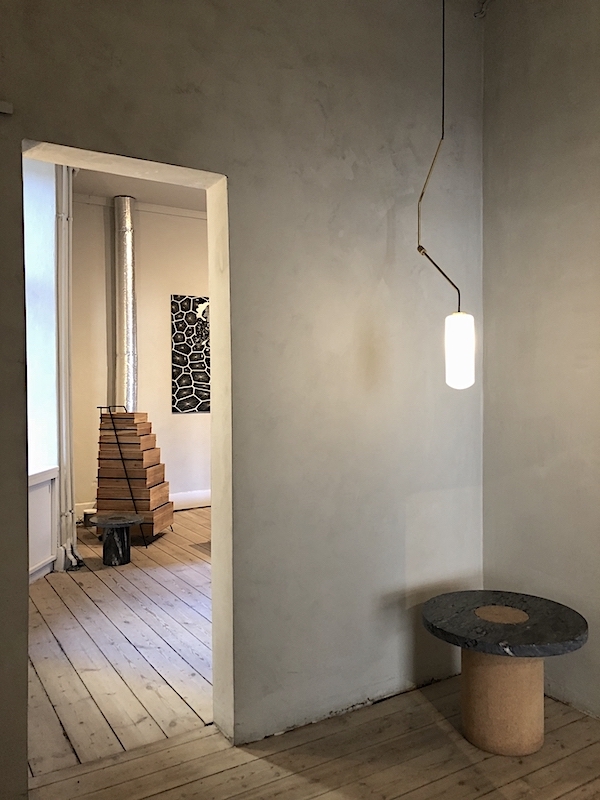 Within the large industrial space the work of young designers is showcased next to more established brands such as Loof and Fest Amsterdam. 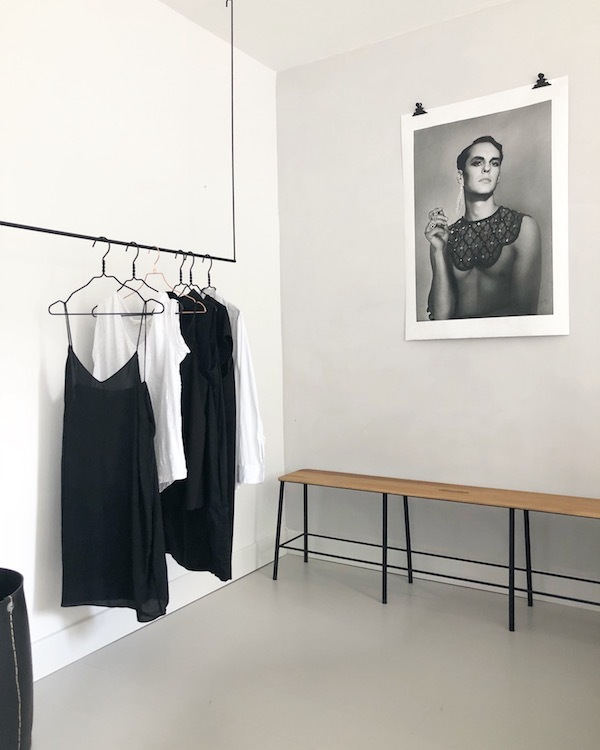 What makes C-More different is that they sell the designs and products directly from the designers, under the name 'Made in Nijmegen' they created a special section that offers a stage for Nijmegen designers. 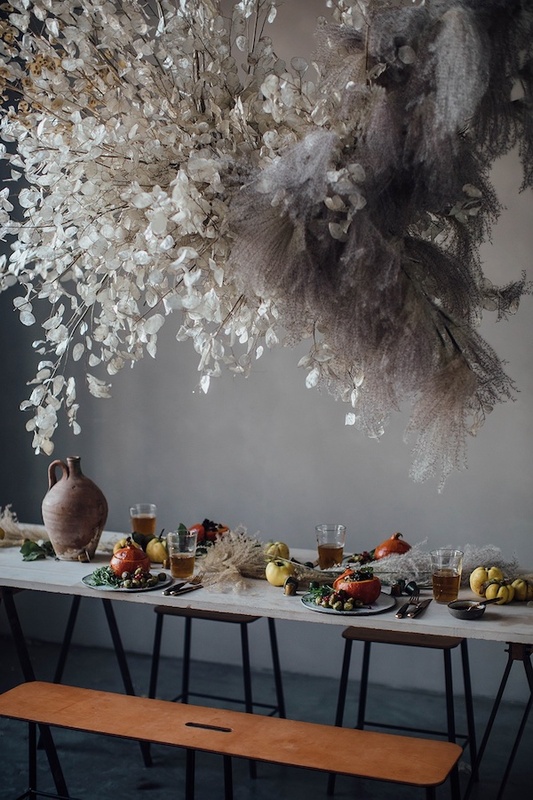 During the year different interior, lighting and colour workshops can be followed organised by the team next to guest workshops. 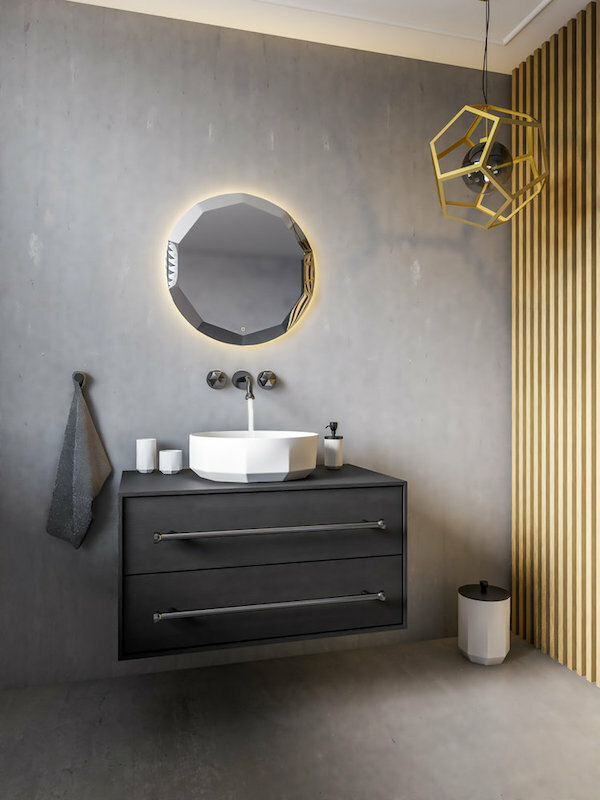 The 'Bloom series' is a stylish bathroom collection and like most of Edward's work inspired by nature and geometry including all the elements from a bath, top mounted and freestanding basins, a ceiling shower and wall shower, and accessories. A sunflower served as inspiration for the shower head. 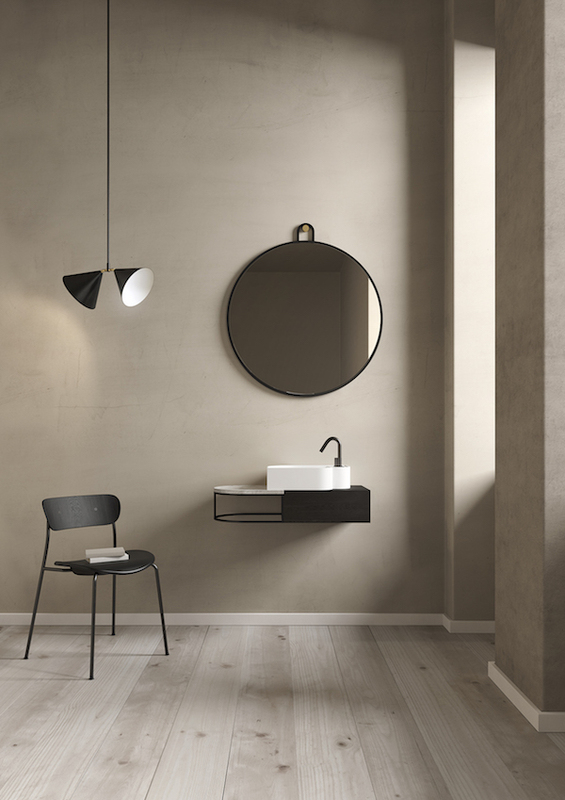 At the moment the designer is looking into expanding the collection with wooden bathroom furniture and porcelain cups. 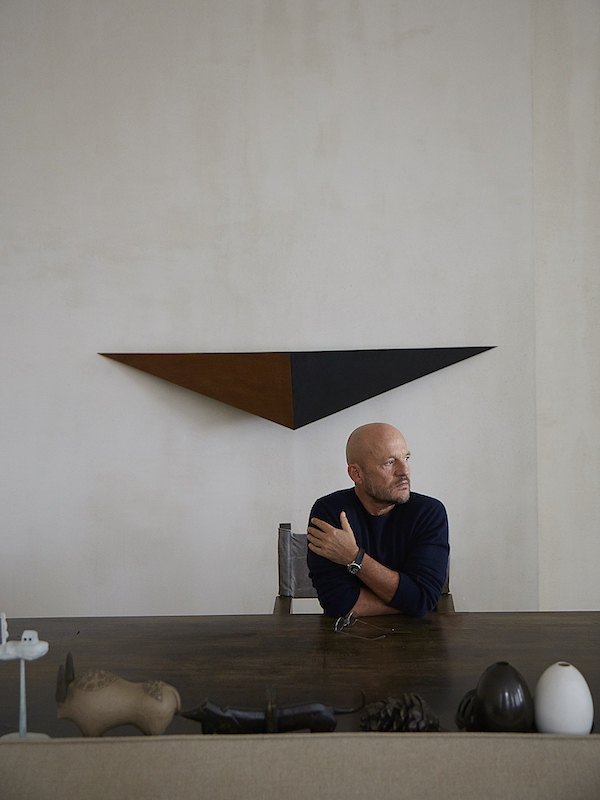 Lammert Moerman, creative mastermind behind JEE-O: “The bloom series is very different to anything I have ever done before. The faucets are made of stainless steel and have had a PVD treatment. This is a special surface treatment for an attractive gunmetal look. 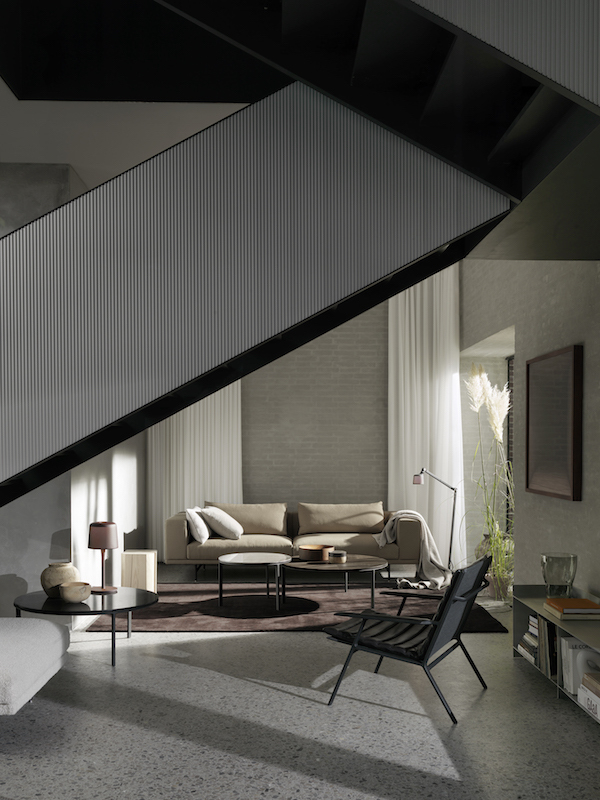 The other JEE-O collections have a very industrial and robust character. The design of the bloom series is less inhibited and more frivolous. 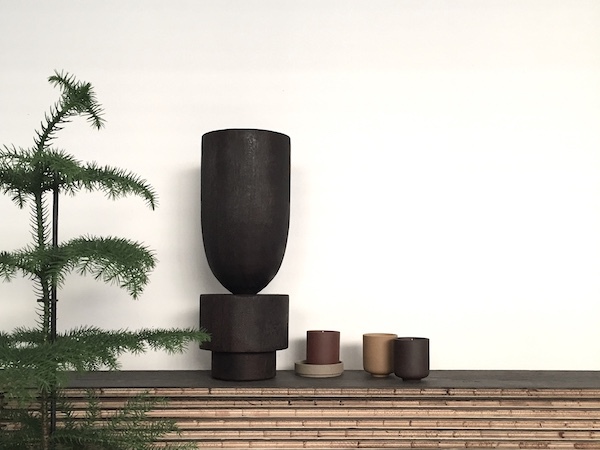 This means a new direction for JEE-O.” The bloom series will be on display for the first time during the Salone del Mobile in Milan in April 2019. 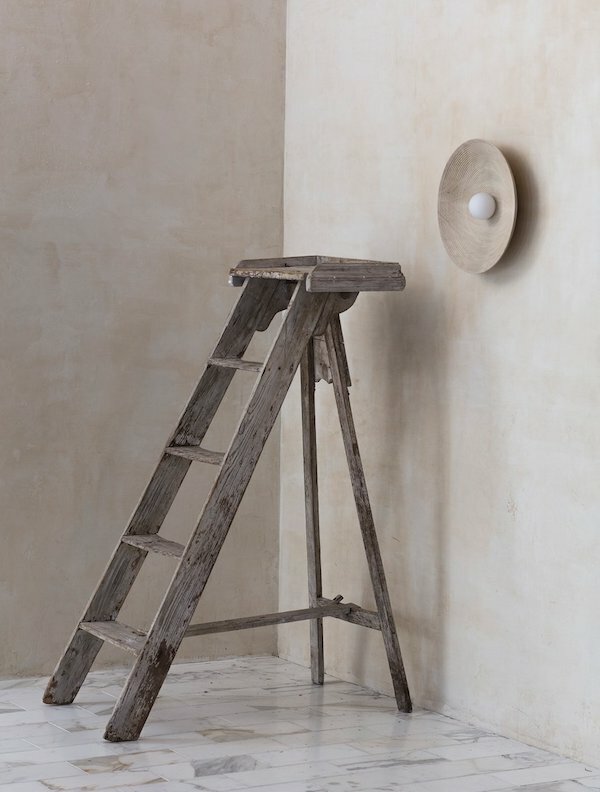 Ex.t just announced it will be presenting its new collection 'Nouveau' at Maison & Objet in Paris this next January. 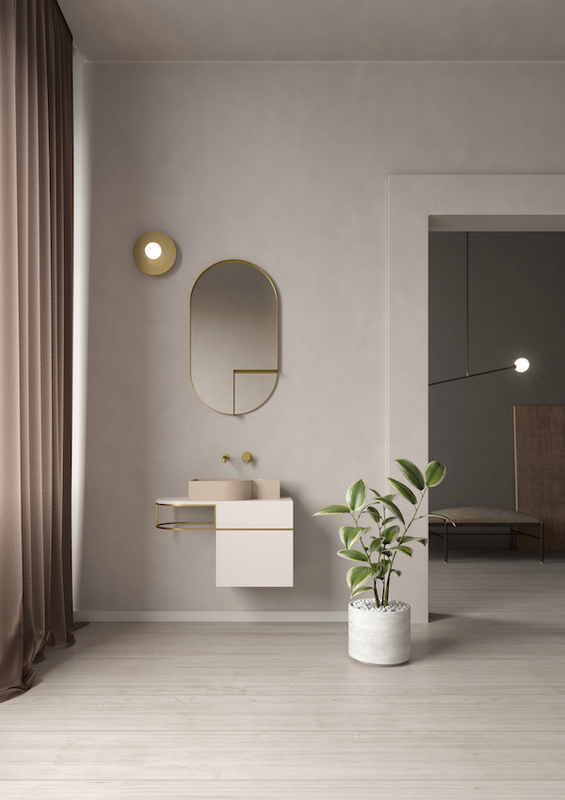 Ex.t: "After Norm Architects, Sebastian Herkner and Mut Design, also Bernhardt-Vella studio approaches the bathroom world with Ex.t for the first time, proposing a collection of washbasins, cabinets and mirrors in line with the latest international trends." 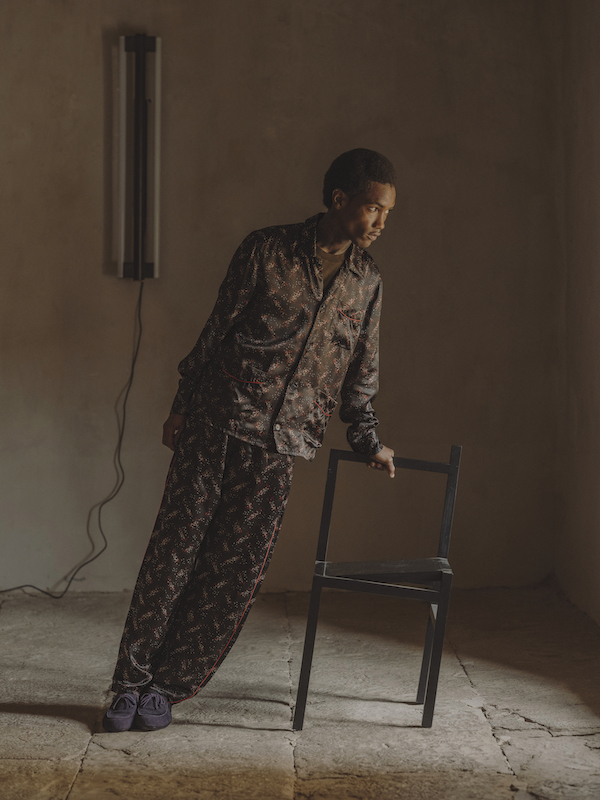 "Freely inspired by early twentieth century Art Deco, the collection by duo -Paola Vella and Ellen Bernhardt, two woman with a common vision of design based on emotion and poetry, takes refined suggestions from that era and reworks them with the taste and sensitivity of a contemporary perspective." 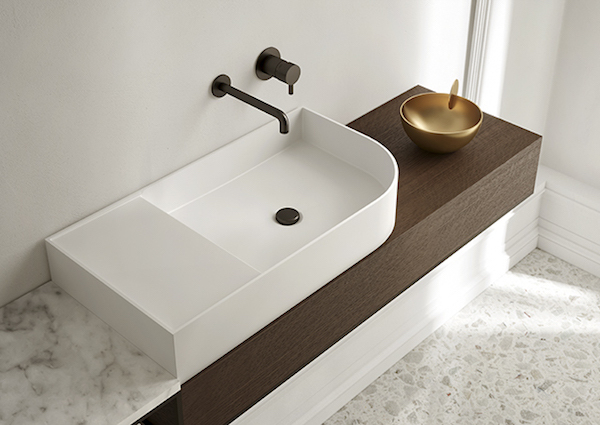 "Nouveau wash basin is characterized by asymmetrical shapes with bold edges that serve as practical support surfaces. 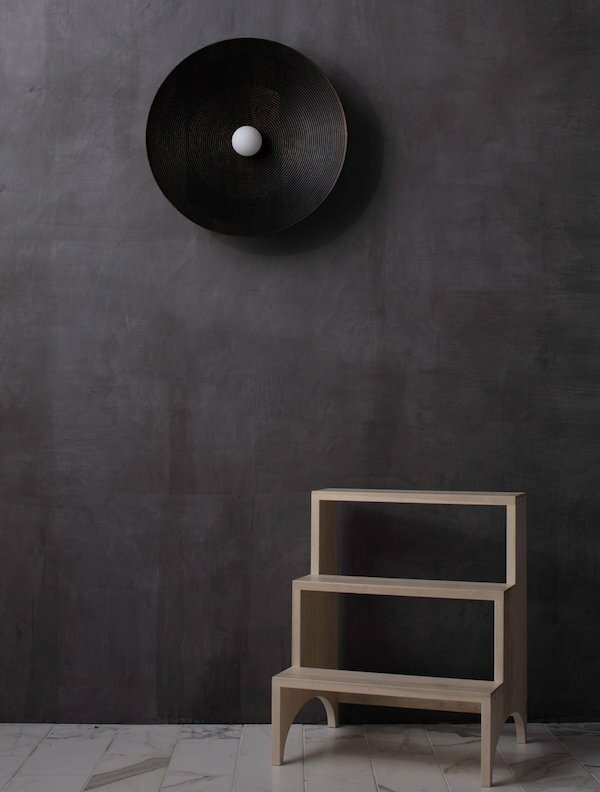 It can be wall mounted or a countertop -supported by a metal structure that elegantly defines its shape. 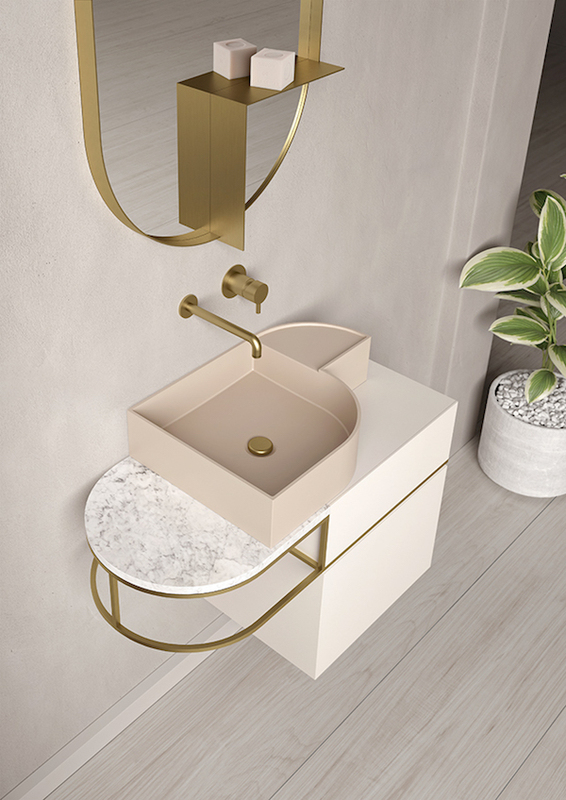 The structure is available in brushed bronze,satin-finish brass or matt black finishes and can be combined with various accessories such as towel rails, wooden drawers, marble or stone storage tops to offer a functional and complete product. 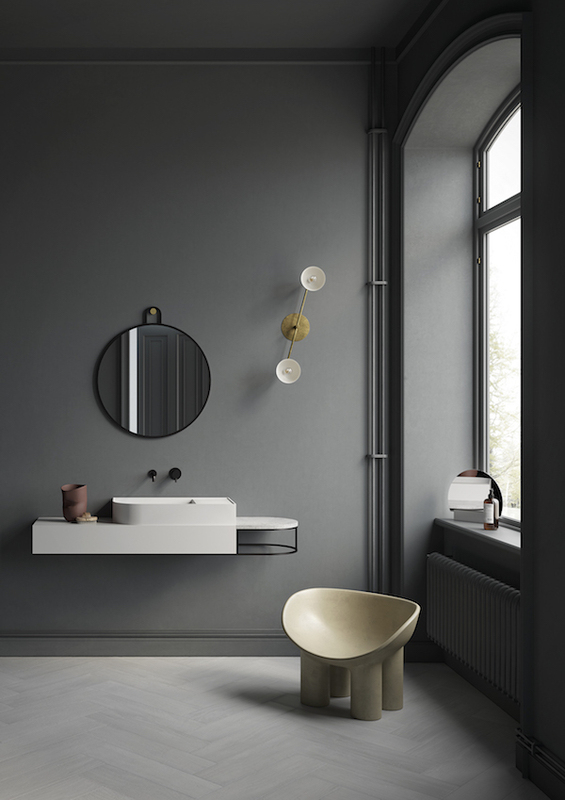 With Nouveau, for the first time Ex.t inserts the colour in a collection of LivingTec washbasins. The first colour proposal is Rosa Cipria, a refined and antique colour." 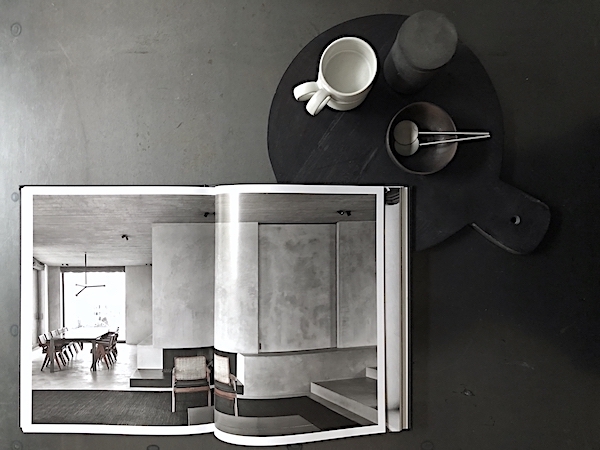 We started this year photographing the Vipp kitchen in the new hotel concept of Vipp, and stayed in both their rooms: The loft in Copenhagen and the amazing shelter in Sweden, a first trip we still talk about often, see an impression in our portfolio and travel section at w/ Style. 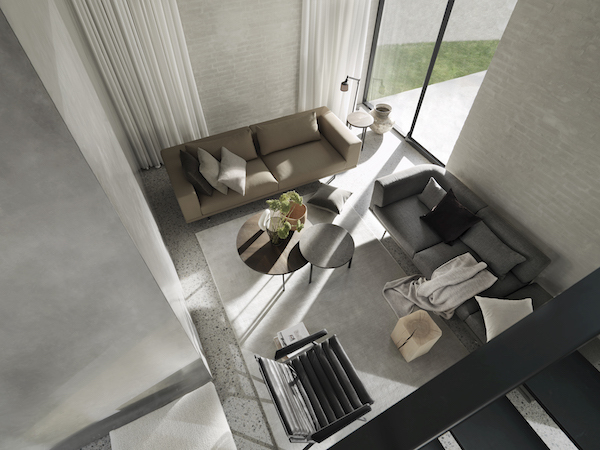 Both rooms were completely furnished with a kitchen, bathroom, lighting and more accessories from the Vipp range. 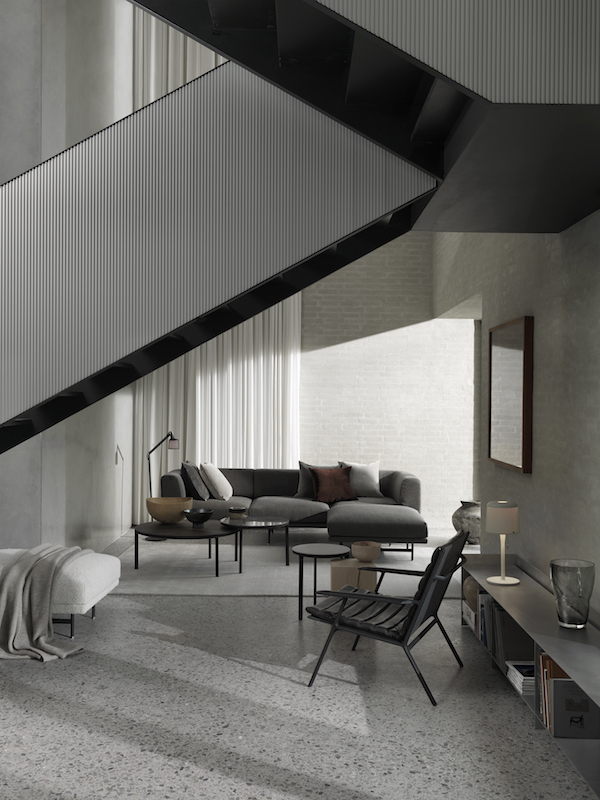 Projects like the Vipp Hotel has prompted Vipp’s desire to develop a line furniture to inhabit these spaces. 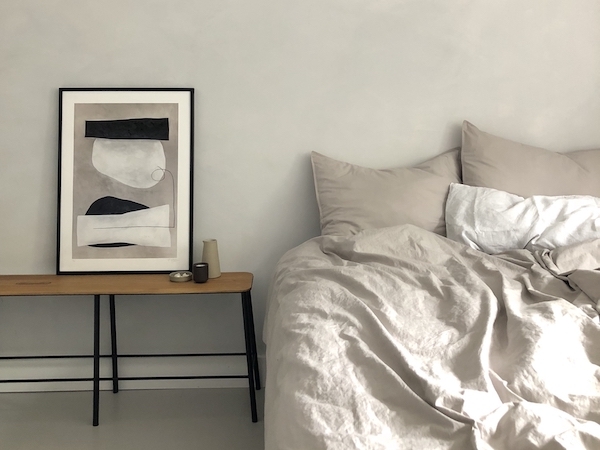 Vipp is about to launch a full range of furniture, a big move into the furniture category where sofas, chairs, coffee tables, lounge chairs, and rugs will enter the Vipp collection during the first half of 2019 available in selected stores. 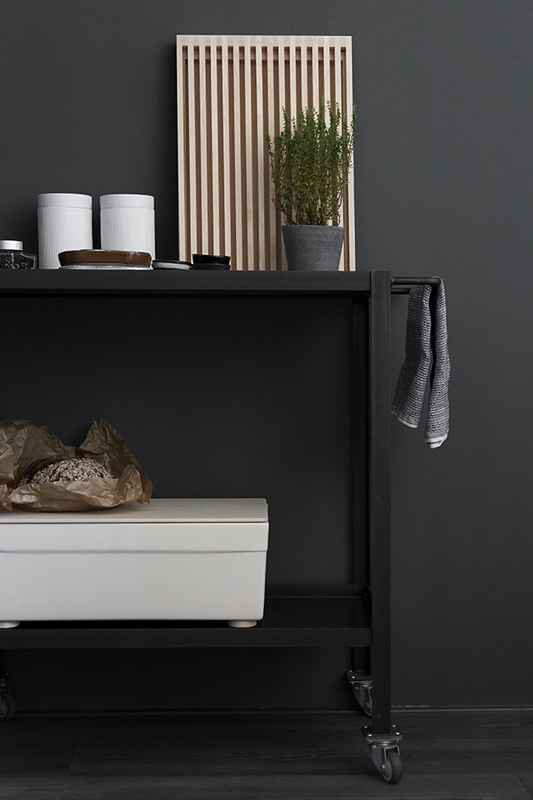 Upscaling from accessories to furniture comes as a natural next step for Vipp. 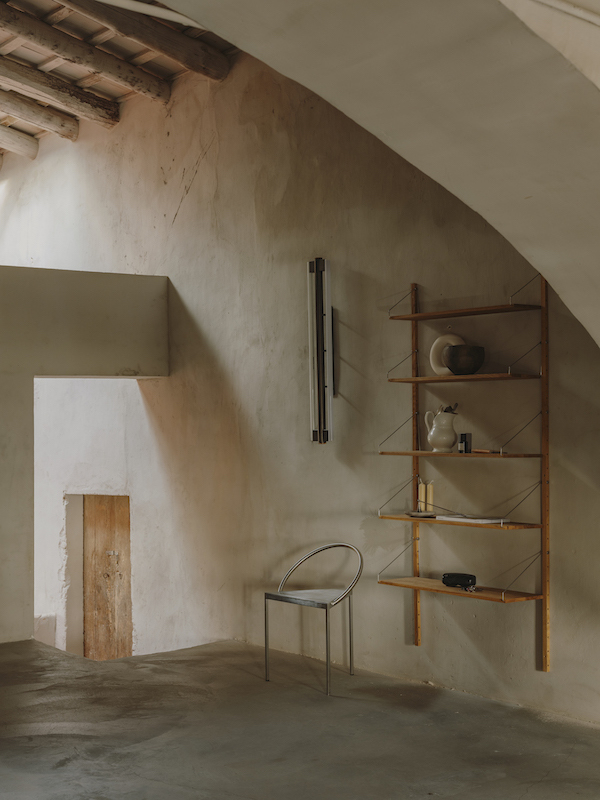 Fusing its 80 years of heritage in steel manufacturing and tool-maker tradition with a desire to explore more organic materials like textiles, stoneware and wood. 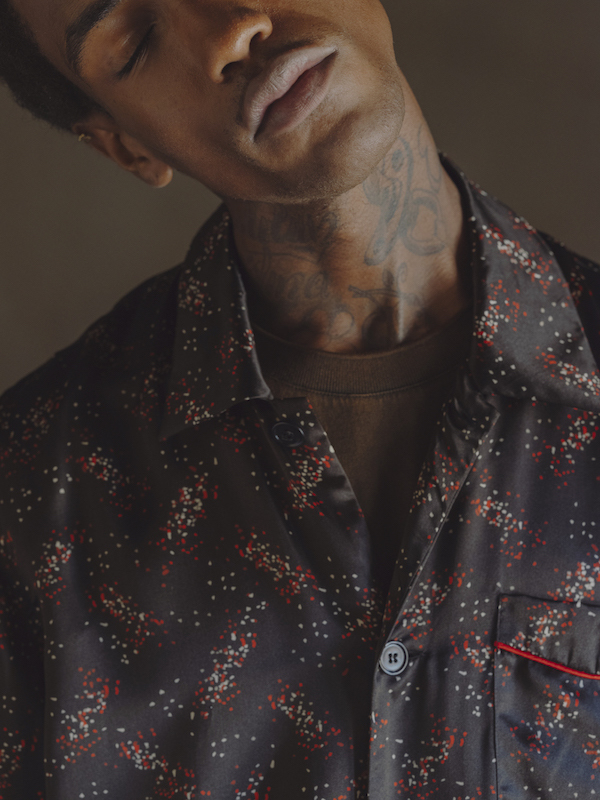 I am curious to see more of the collection soon. 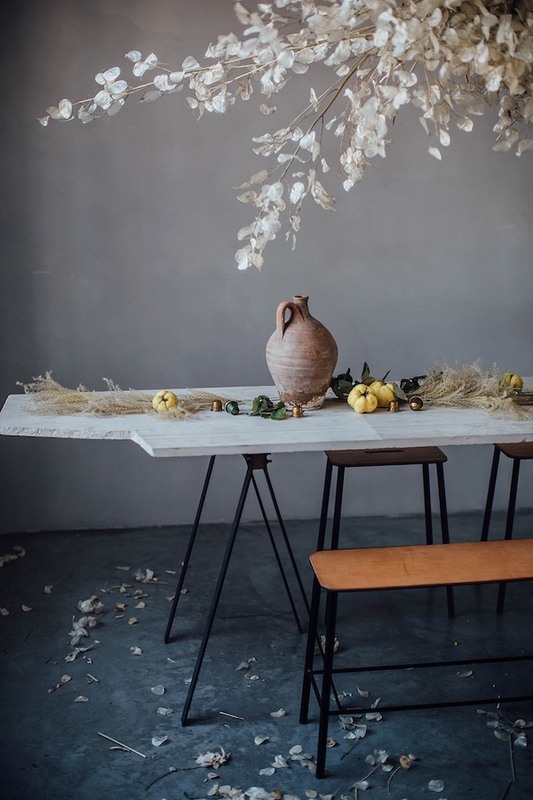 It's no secret I really love the selected furniture pieces by Frama and I don't think there is any other blog I read where the furniture is used as often as at the kitchen of Our food stories. 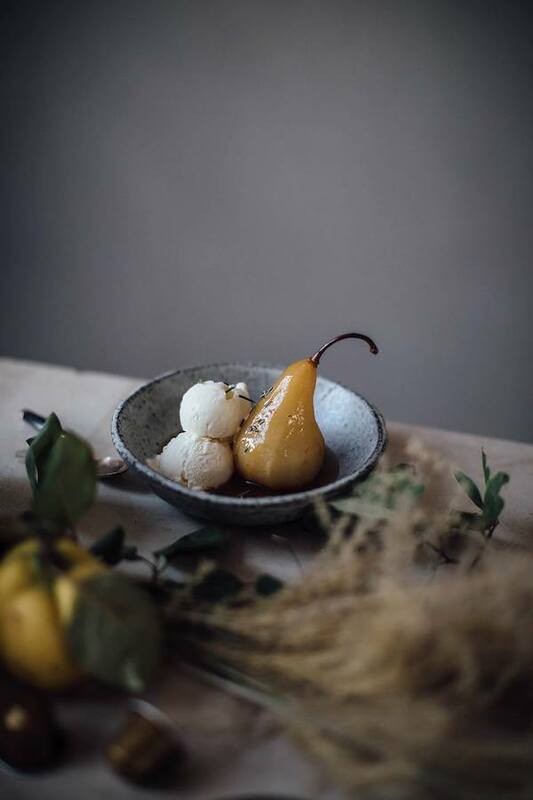 That's one thing I like about reading their stories, second must be our common love for good food ánd following a gluten free diet, something I try to keep up with as much as possible and regret about neglecting at least twice a month. 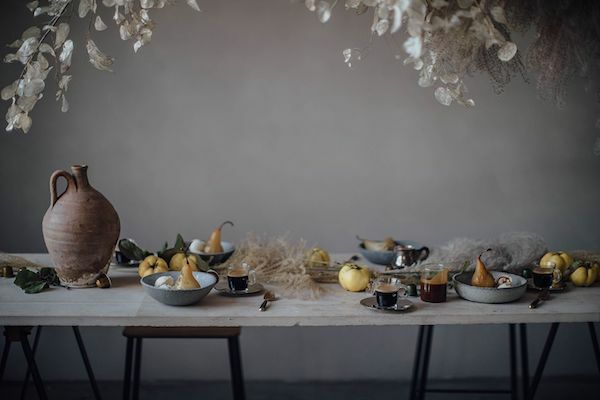 Recently they teamed up with Nespresso and created an autumn menu with the new Master Origin Coffees. 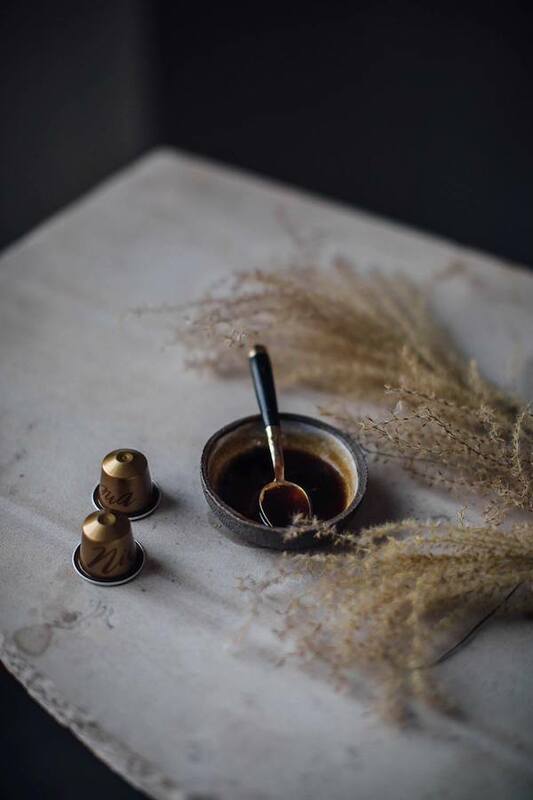 You might think why am I sideways 'promoting' Nespresso in this post, but the thing is I really love Nespresso and recently bought my second coffee maker after the first one stopped working after fifteen years! On Our food Stories you will find the recipes made with 2 flavours of the new Master Origin Series, which inspired them for a two course menu. 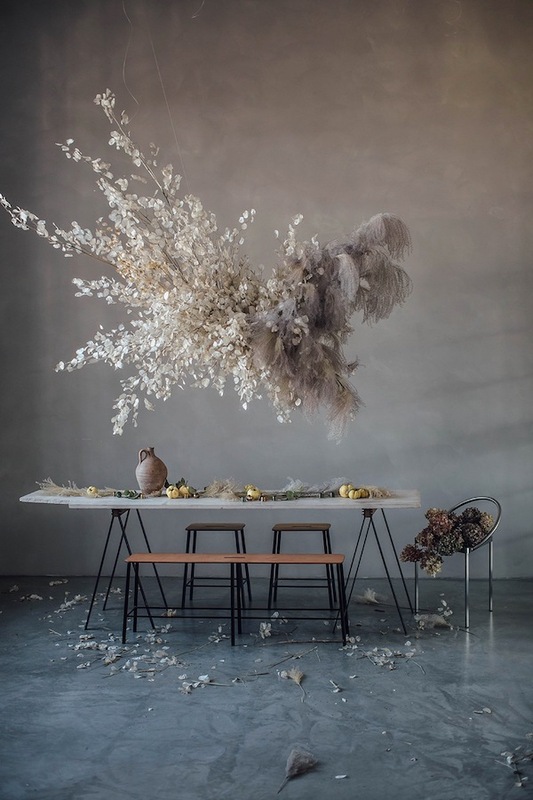 A different cloud above the table was created by Mary Lennox and although I personally am all done with that one pampas feather popping up in many stylings and blogs, I do appreciate an installation like the one shown here. 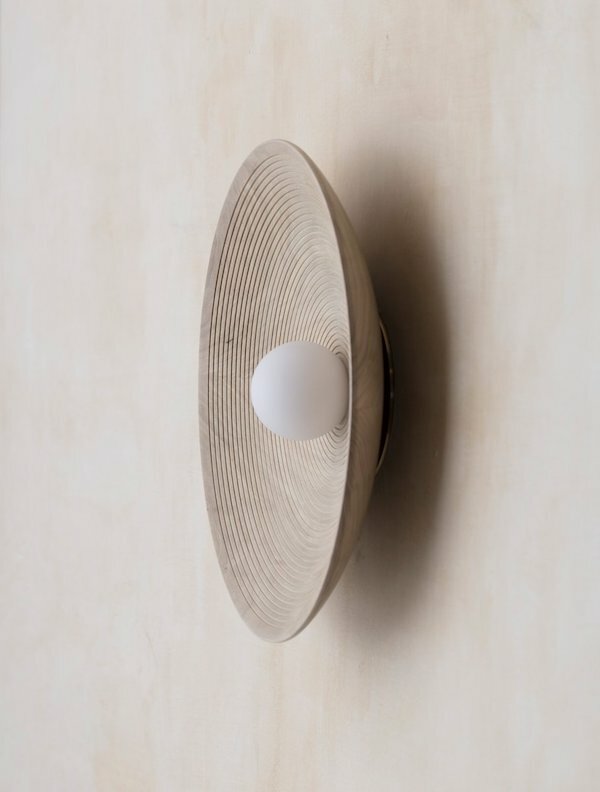 Choosing new lighting for an existing home is something I find rather difficult and I am totally aware I am missing out on the right light plan at home. I know it is important, but I see it more as a task for new homes where you have the possibility to build in basic lights and work from there. For my own home, as said, it is something I am always struggling with. 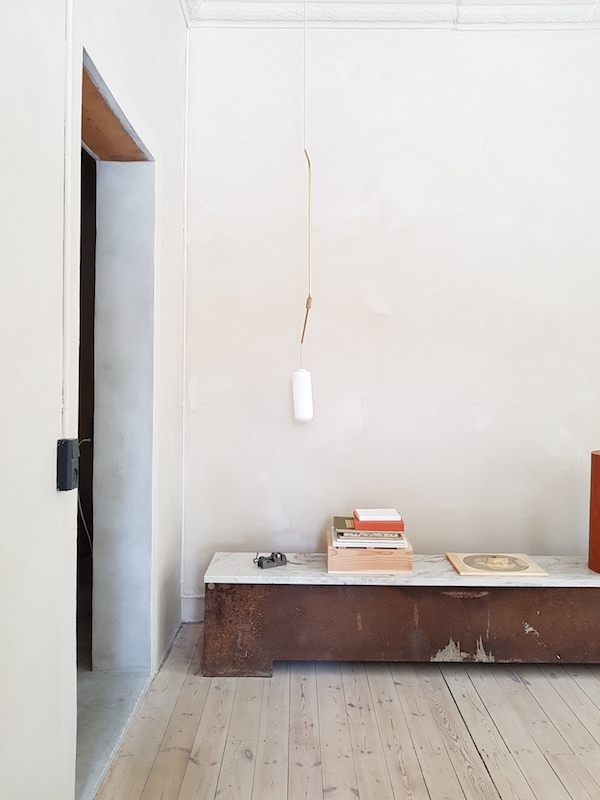 I did got myself some new lights recently which I hope to show you soon, meanwhile I keep drooling over the most beautiful lights I come across and I love to share my latest discovery with you today! 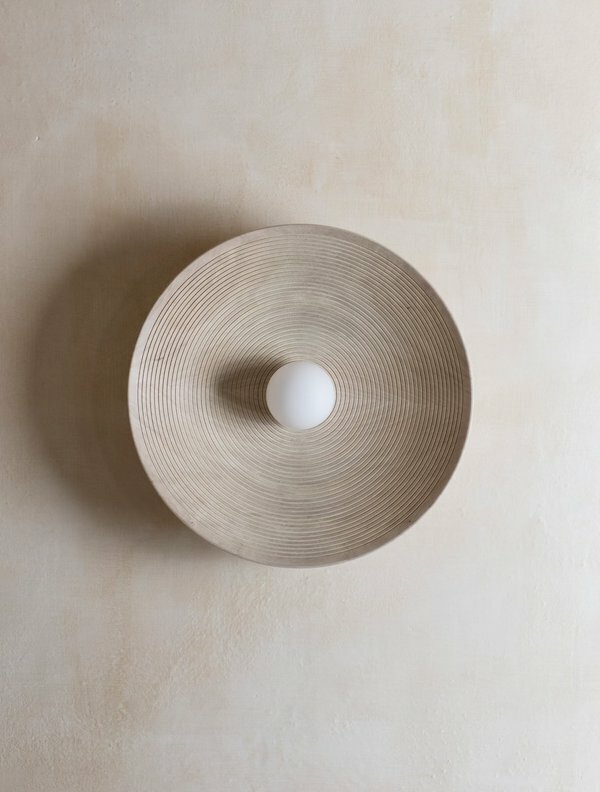 Allied Maker is an New York based design and manufacturing studio offering artisan crafted, highly engineered, sophisticated yet simple lighting design solutions. 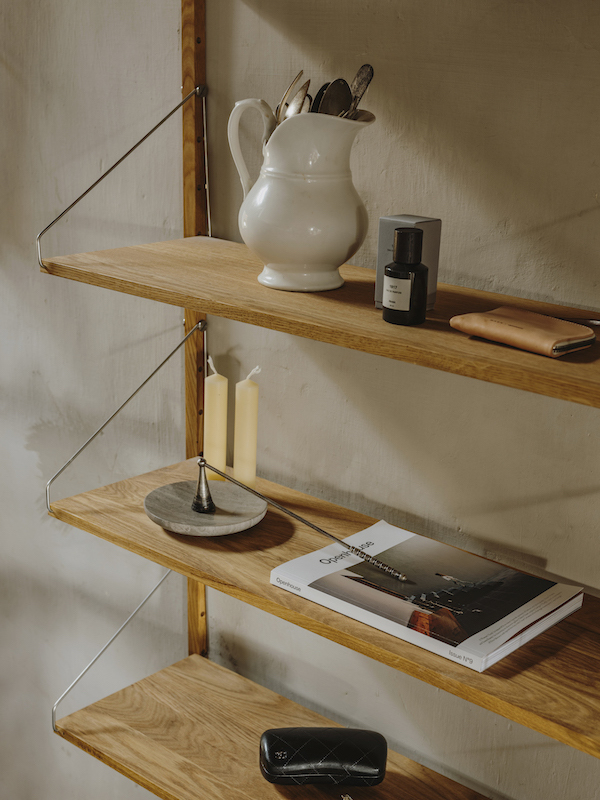 I totally love their use of natural materials such as Brass, Glass, and Hardwoods along with a love for artisan craftsmanship. 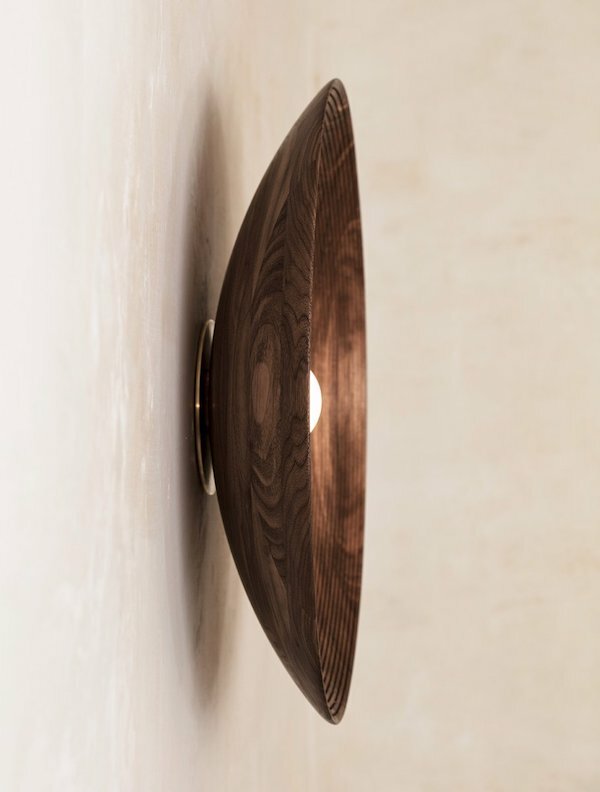 'Concentric' is a handcrafted dome made out brass and American hardwood in different finishes, from bleached ash to blackened oak. 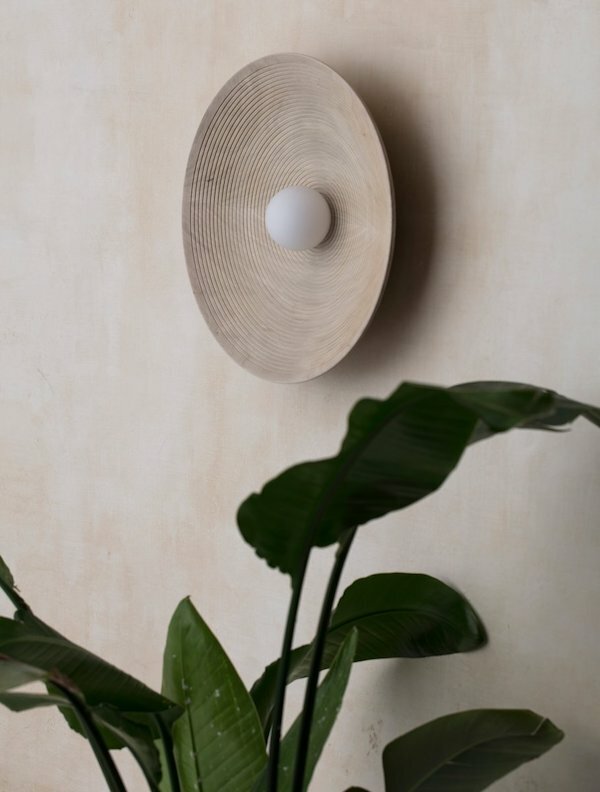 Falling in love with most of their design, it was hard to choose which light fixture to show on the blog and I recommend you to have a look at the website to see their amazing collection here Allied Maker. Reading the foreword written by one of Open House collaborators I realize I also each December look back on my dreams, the goals I set, what I have achieved and what I didn't manage to completely bringing to life. How is December treating you so far, are you busy with your Christmas preparations or planning a warm vacation to escape winter? In case you are still looking for a Christmas present that you could use all year around, as I do think we should only buy things that will last, I love to introduce these Storage Jars to you. 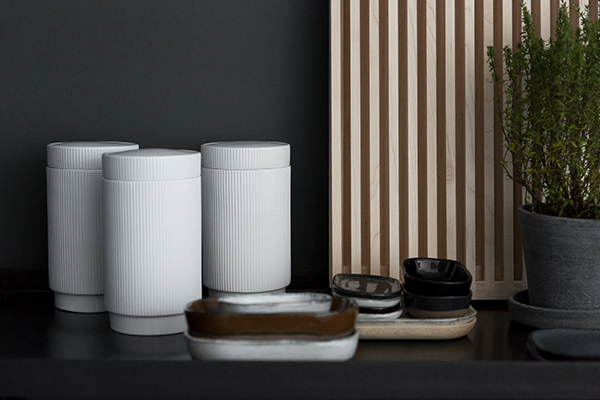 Although at first sight you would think they are made out of metal, like most of them we know, the bulthaup Storage Jars are made from a high-quality porcelain and if you have a closer look, you will notice some great details, I just simply love the base! 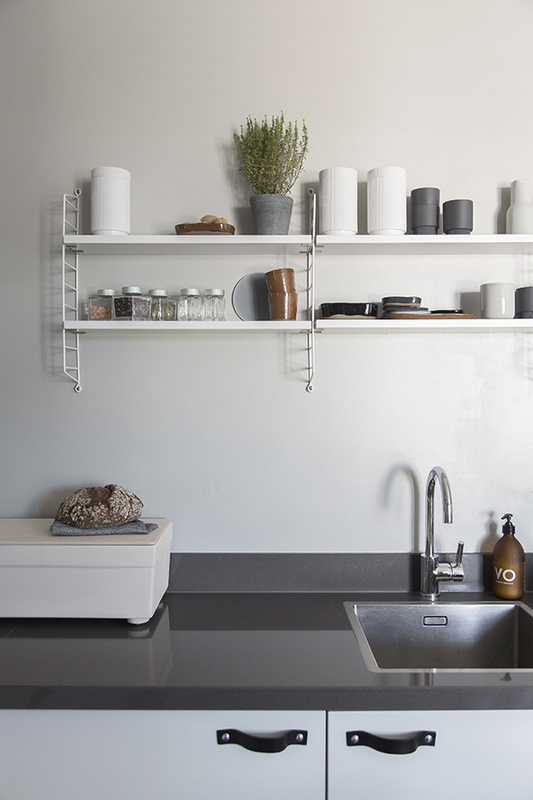 We got to capture them together together with the other bulthaup accessories I wrote about earlier and used the twentyfour centimeter high jars which are perfect for regular storage of any kitchen supplies you use, like flour or cereals. 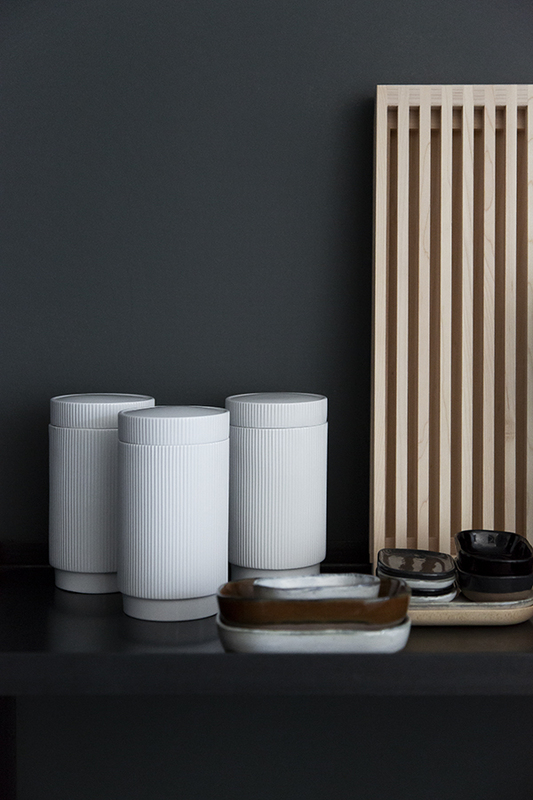 Next to the 24 cm heigh jar they are also available in 16, and 8 cm height, perfect for any other storage solution you are looking for. 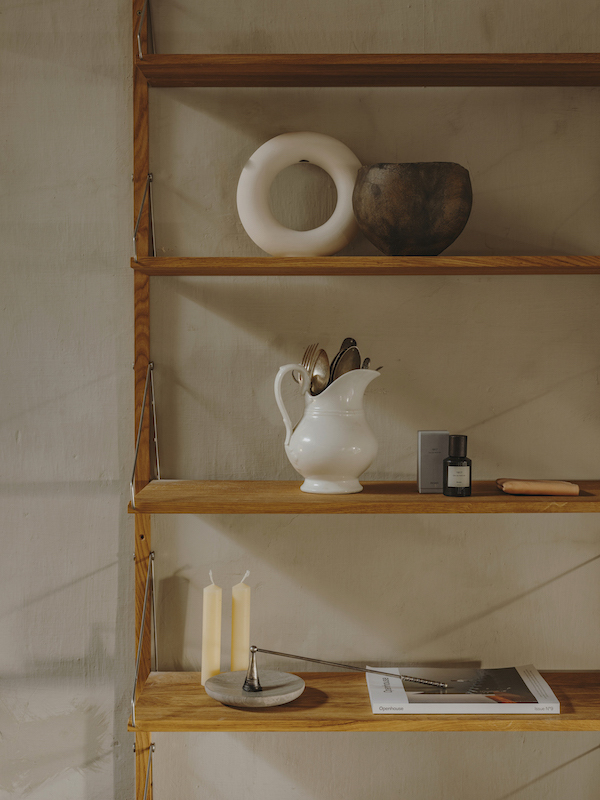 I really think it is important to surround yourself with not to many but beautiful kitchen accessories, tools you actually use and are nice to look at as well. 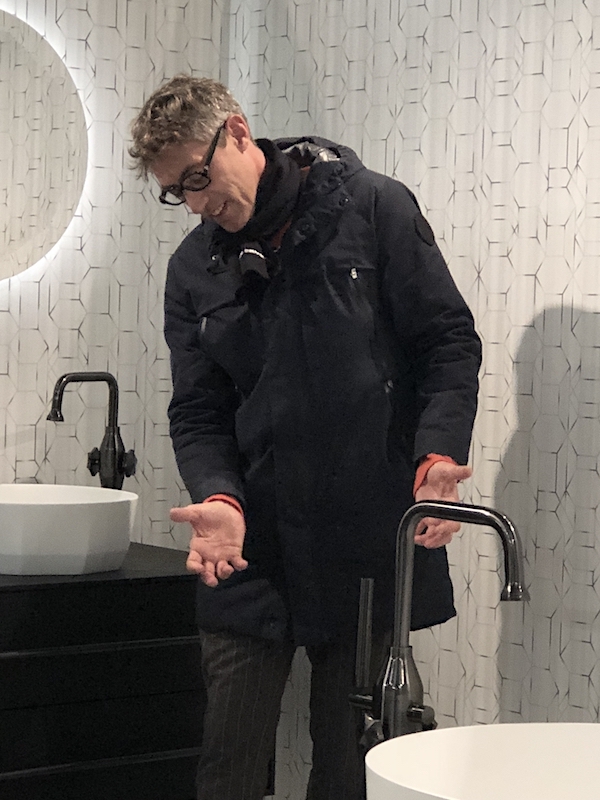 This is something I really believe, and I loved working on this series of blog posts for bulthaup.Their products are high quality and like everything I write on the blog about fit my blog aesthetics and personal style. 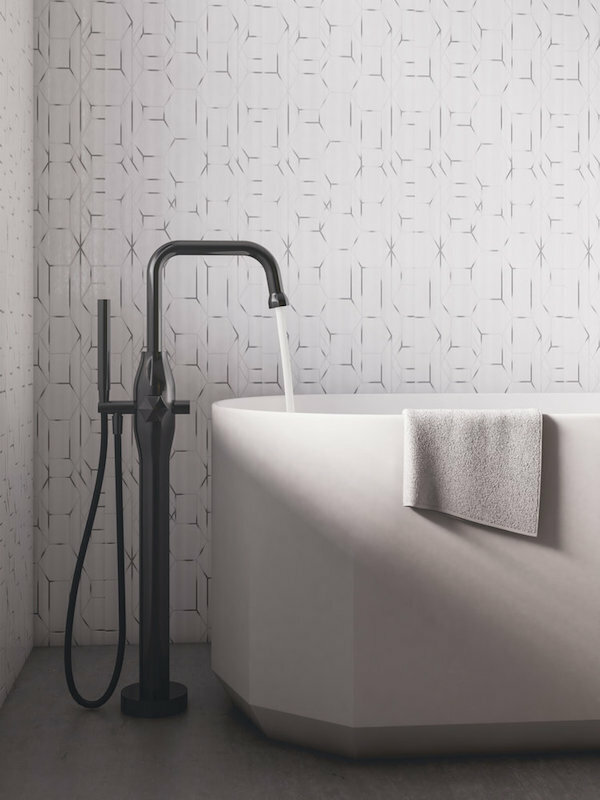 Here's a roundup of our former work for bulthaup, I hope you enjoyed learning more about the brand through my blog posts and the images we created with w/ Style. Happy Christmas shopping! And don't forget to check our w/ Style @withstylenu instagram account and portfolio for more images.